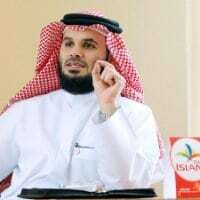 Al Islami Foods, the leading Halal food company in the Middle East, will soon be establishing a permanent presence in Russia, Azerbaijan and other CIS countries, saying that the former Soviet states represent 284 million people who are potential food consumers. An Al Islami spokesperson said that awareness about Halal food has been increasing exponentially among Muslim and non-Muslim residents in the CIS countries and current indications show that this remains a highly under-served market. Russia’s current annual production of Halal food stands at around 65,000 tonnes, produced mostly by unorganised livestock farmers and smaller meat-production companies. Al Islami’s executives recently visited Moscow and Azerbaijan, as part of a high-level Dubai government trade delegation to explore business opportunities for UAE companies with their Russian counterparts. Currently, Al Islami exports its Halal products widely across the GCC and its entry into Russia will further reinforce its position as a truly global Halal leader. Pointing out that in Russia alone, Muslims formed 20 per cent, or roughly 40 million people, Lootah added that Al Islami’s expansion in the Russian and CIS markets was in line with the UAE government’s vision to position Dubai as the capital of the Islamic economy. “Russia and the CIS countries are a promising market and we are keen to have a first-mover advantage by establishing our presence here soon after reviewing local distribution partnerships and logistical infrastructure,” he said. Al Islami’s expansion will further highlight Dubai’s growing stature as the capital of the Halal economy. The emirate had recently hosted the successful Halal Congress to highlight its vision for a Halal economy that involves Islamic financial instruments, Islamic insurance, Islamic contracts’ arbitration, Islamic food industry and trade standards (Halal food), and Islamic quality management standards. Once it enters the Russian and CIS markets, Al Islami Foods will be able to introduce its award-winning Halal line of products which includes sausages, burgers, minced meat, nuggets, amongst many others, conforming to world standards under very stringent hygienic conditions. Al Islami strictly enforces high quality standards where the meat is exclusively sourced from farms where the real Halal process of no-stunning and hand slaughtering is followed.